Fulling Mill Competition Heavyweight Hook, a super strong and universal hook, with heavyweight wire with a black nickel finish to give you that edge. The Fulling Mill Competition Heavyweight Hook is the original super strong and universal hook, you can tie virtually anything on it. 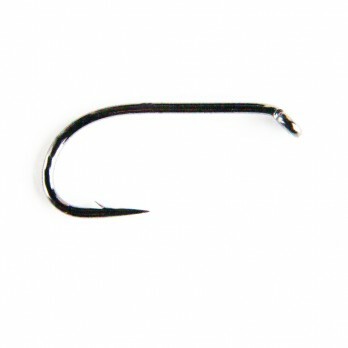 This hook is ideal for tying patterns like Diawl Bachs, Buzzers, Mini Lures, Damsels, Wet flies and everything in between. Sproat, down eye, 3x strong, 1x short and bronzed. Kamasan B110 Grubber are superb fly tying hooks a heavier version of the B100 and suitable for buzzers, nymphs and Czech nymphs. Down eye,Standard wire, 1x long shank, round bend, light bronze.